Elegant and sleek styling. Beautifully judged balance of ride quality and handling. Incredibly refined at high speed. All models get navigation and heated seats. 4Matic available. Rear space is as tight as you'd expect. 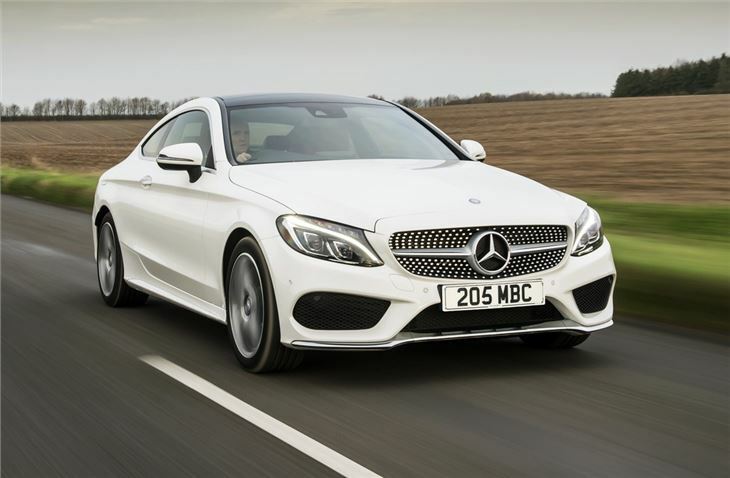 Static LED headlights of 2016 Mercedes C-Class Coupe C300 Sports Premium Auto illumnate LHS of road in UK very well but there is no facility to change this to RHS for driving in Europe. When it comes to desirability, few cars can match the new C-Class Coupe. 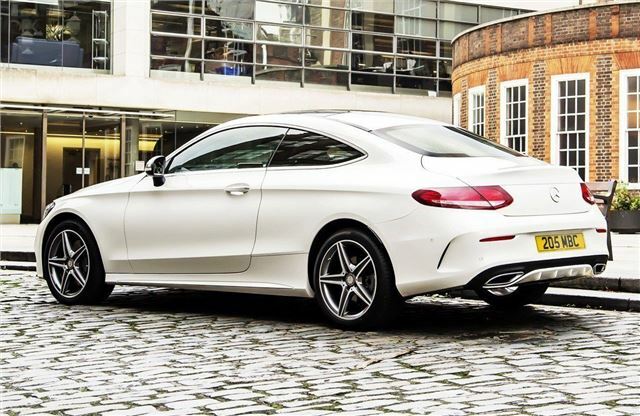 In taking design cues from the luxury S-Class Coupe, Mercedes-Benz has come up with a much sleeker look for this generation. That swooping rear end also means the Coupe now stands out from the standard C-Class saloon far more than previously. It's certainly more distinctive and also better to drive. It sits on a totally new platform that's shared with the C-Class. You get the same level of comfort as the four-door saloon but the C-Class Coupe has a bespoke suspension and steering set-up. The result is a car that blends ride comfort and handling ability together superbly well. 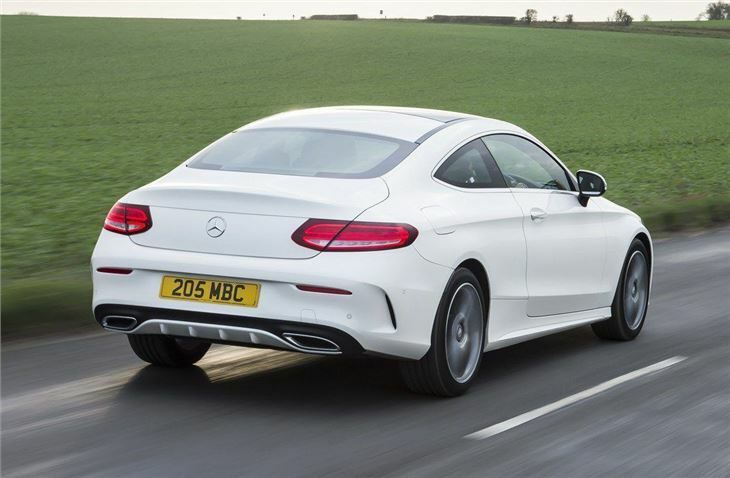 So the C-Class Coupe is as effortless on the motorway as it is when tackling tight bends. Much of that is down to a new steering system which gives a more natural feel than before with better weight. With a low centre of gravity and stiffer suspension, as well as the traditional rear-wheel drive (and four-wheel drive) Mercedes-Benz set-up, the C-Class Coupe handles very well, inspiring plenty of confidence in its ability, all the time offering unflustered performance. This is no frantic racer, rather a refined and effortless coupe. 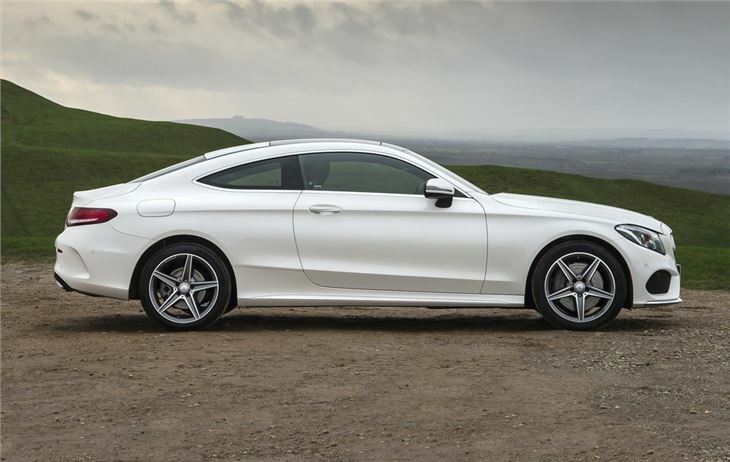 While it's a two-seater, the C-Class Coupe is still practical with a decent boot and plenty of storage. 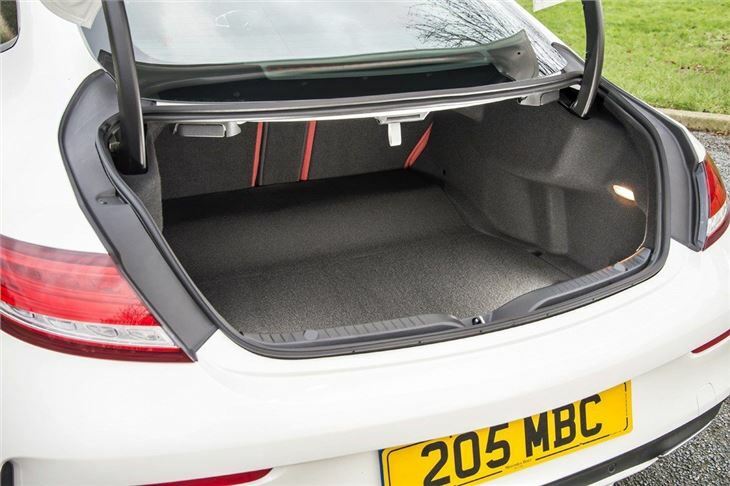 There's also lots of cabin room for the front passengers, although the rear seats are a pretty token addition, although you can fit a car seat in. The interior is a huge step up from the old C-Class Coupe with the button-heavy layout replaced by a sleek and minimalist design with a high quality finish. It's far more the kind of premium cabin you'd expect from a Mercedes-Benz. Similarly the engine range is impressive. 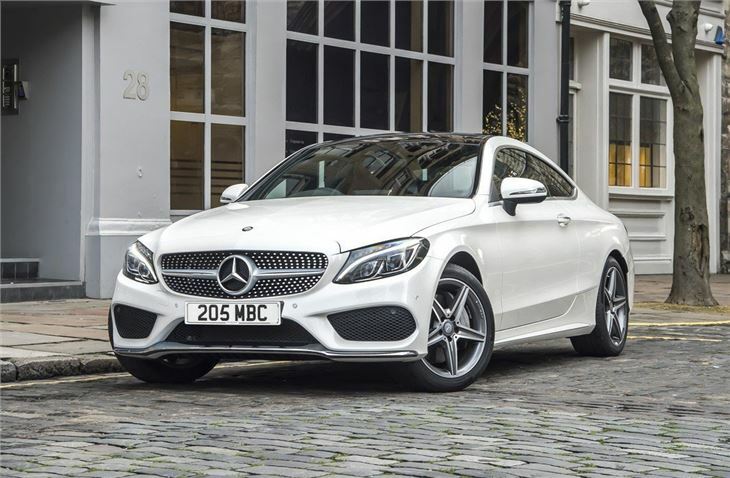 The C 200 is the entry-level model and with 184PS from its turbocharged 2.0-litre engine, along with a new six-speed manual gearbox, it offers more than enough zest to make the C-Class Coupe fun to drive. The diesels are excellent too - especially the C 250 d which comes with a 9G-Tronic automatic as standard - yet offers low emissions and impressive economy, almost 70mpg according to the official figures. luxury open top safe but steady motoring.